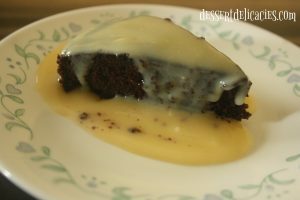 Fudgy Choco eggless cooker cake-Now, this is a recipe I have been postponing for quite sometime now. Ask me why?? ?……just that I was waiting for a day when I would be damn lazy to do anything, but have a yearning for something sweeeeeeeeeeet. :)…. I’m Yes, you got me rite…. this is definitely something you could really do that easily. No more running around for eggs or butter or even milk. 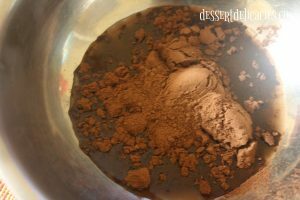 But yeah you’ll need some good quality unsweetened cocoa powder of course. 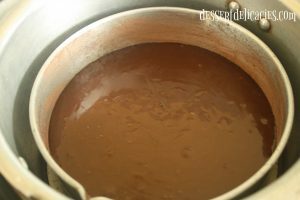 Here I have used a ganache that is pourable in consistency. Pre-heat the cooker by keeping the cooker on the lowest flame for 10 mins. Take cocoa powder in a mixing bowl and add water to this. 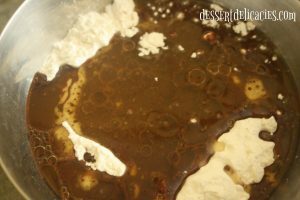 Stir till it gets lump free. To this add oil and vanilla essence and whisk to combine. 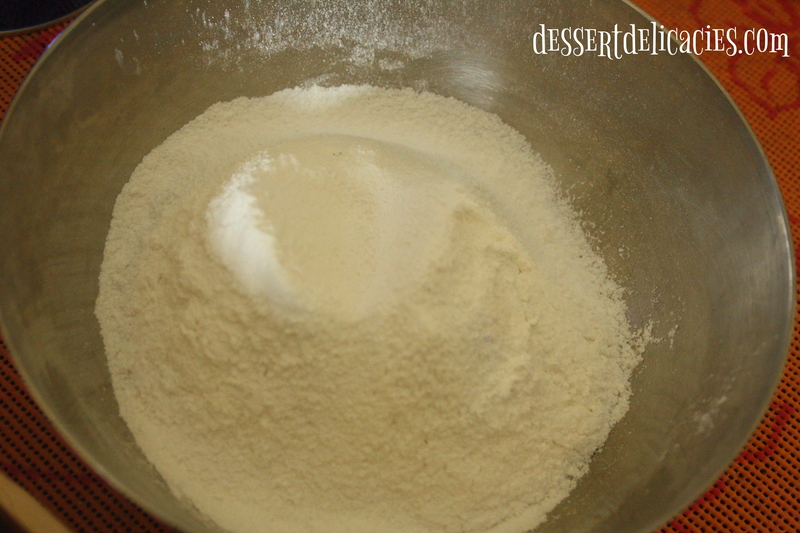 Now sift the dry ingredients flour, Icing sugar, baking soda and salt in another bowl. 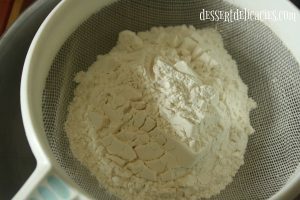 To this add the wet mix and stir to combine all the ingredients together. Add vinegar to the above mix and whisk to get a smooth batter. Pour this batter into the baking tin. Transfer to the pre-heated cooker and bake at the lowest flame for 35-40 mins./ till a skewer inserted in the centre comes out clean. 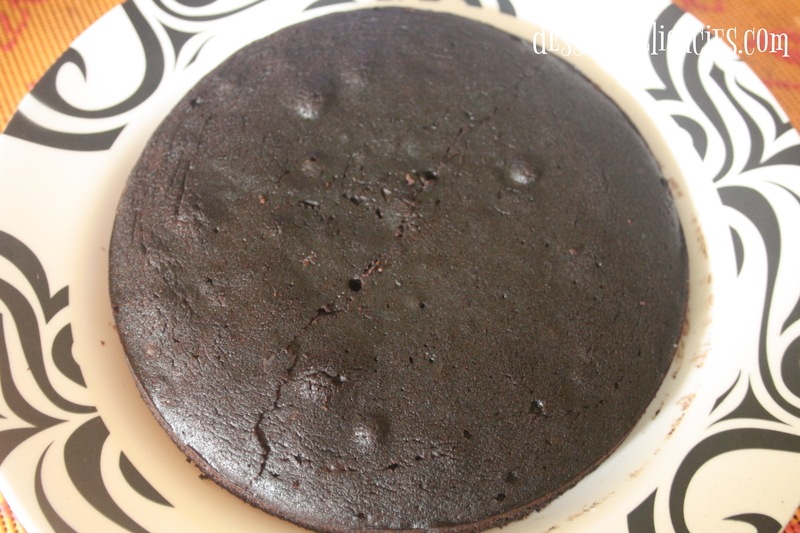 Once done, wait for the cake to completely cool before separating from the cake tin. 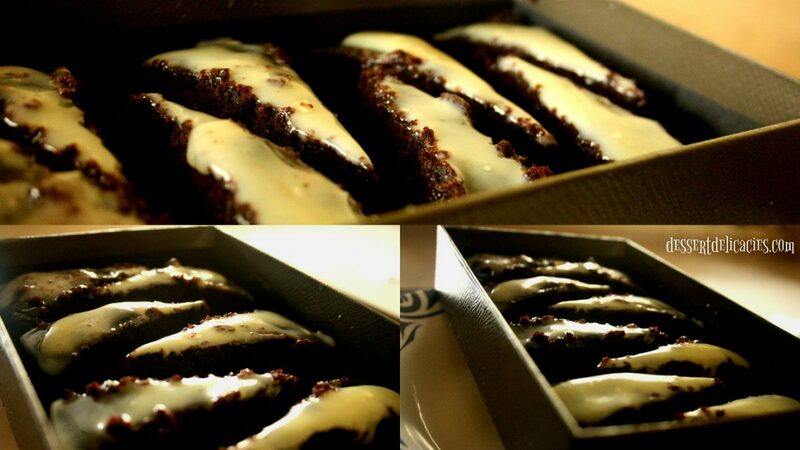 Run a knife around the sides of the tin and demould. 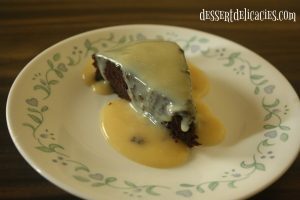 Spread chocolate glaze over the cake and serve. Check Pressure cooker baking tips for how to bake in a cooker. 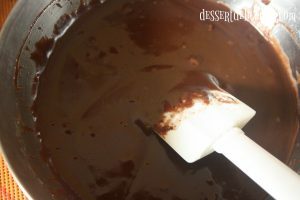 Thickness of the chocolate ganache could be varied. 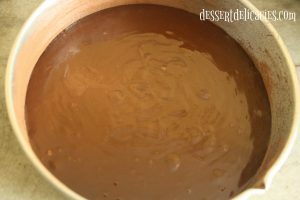 If you need a thicker glaze, use equal quantities of chocolate and cream in the ratio of 1:1. 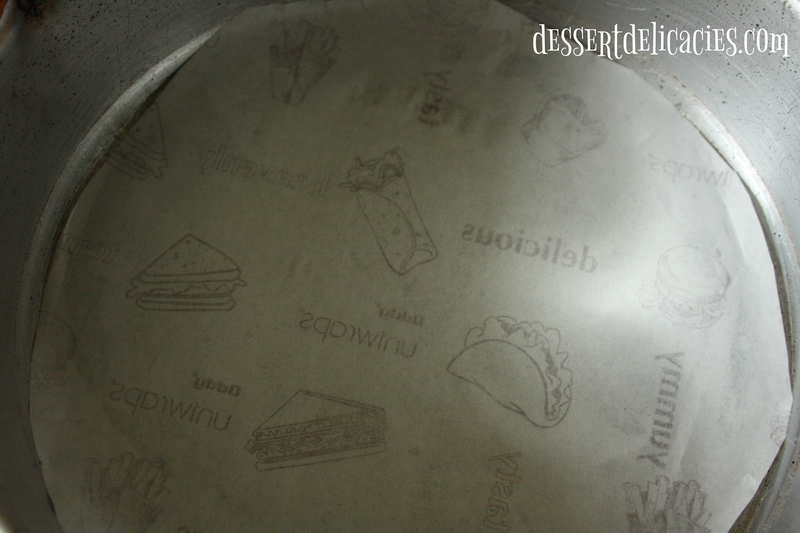 Line the bottom of the cake tin with parchment paper, dust cocoa powder and keep aside. 2. Take cocoa powder in a bowl, add water, oil and vanilla essence to this and stir to make it lump free. 3. Sift the dry ingredients flour, Icing sugar, baking soda and salt in another bowl. 4. 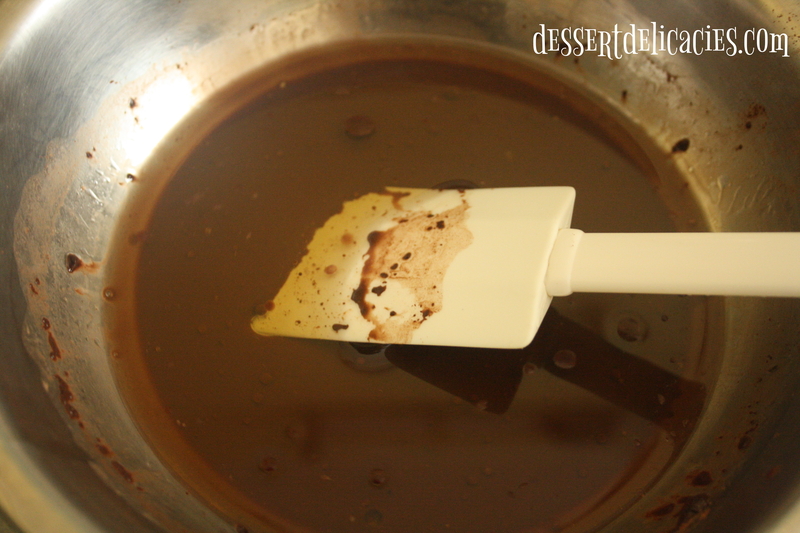 Add the wet mix along with vinegar and stir to combine all the ingredients together. 5. 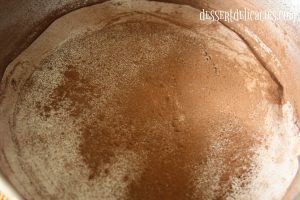 Pour the batter into lined baking tin. 6. Bake in a pre-heated cooker at the lowest flame for 35-40 mins. /till a skewer inserted in the middle of the cake comes out clean. 7. Once done, let the cake cool completely and then run a knife around the sides of the cake tin. 8. Demould the cake and spread the chocolate glaze to cover the surface. Have to try this for my mommy! Thanku Kavya…plz try and give your feedback…?? 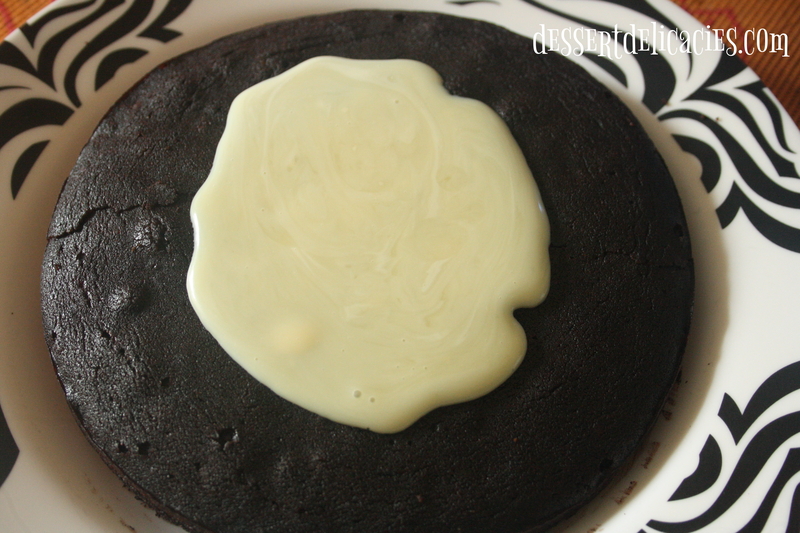 Thanku Asha…plz lemme know your feedback after trying.